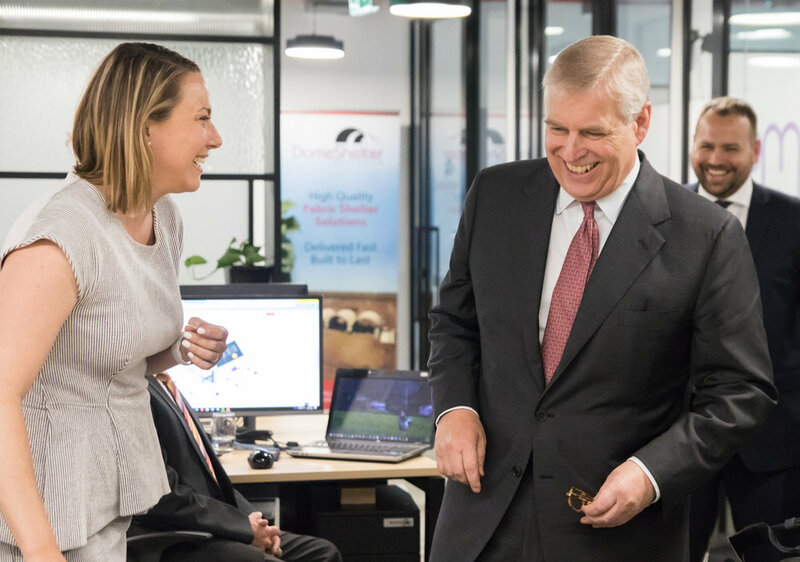 CORE was honoured to host a visit by HRH Prince Andrew today. 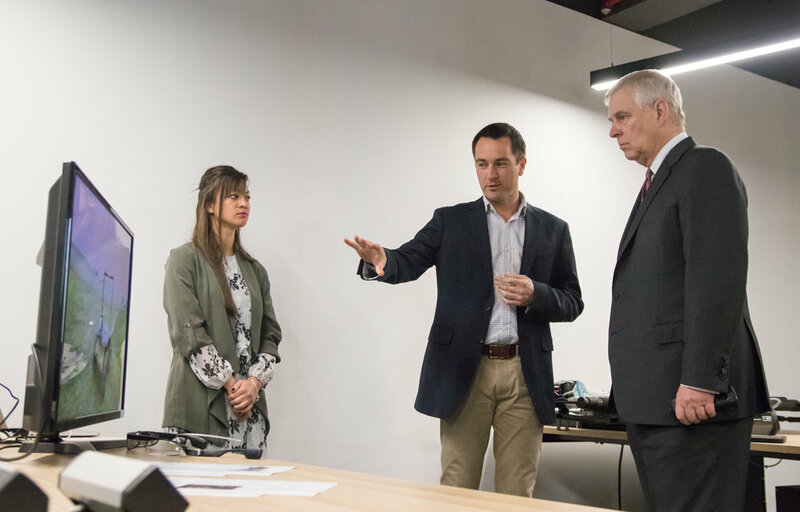 He received a briefing on our impact on the innovation ecosystem, and met with some of CORE and FLUX’s leading innovators and entrepreneurs to learn more about their technologies and businesses. The Prince is in Perth this week for the finals of his Pitch @ Palace competition. The six startups innovating in fields ranging from defence to composting. Prior to founding Chironix, Daniel worked for the Royal Australian Navy and the Department of Defence where several projects he delivered resulted in significant gains in national capability, including the development of a military satellite constellation between the US and Australia; and the design, development and implementation of a military strategic management system for the Royal Australian Navy. Daniel's professional experience is supported by a substantial academic background, with three masters and additional honours. Alistair is an Executive Manager with over twenty five years’ experience in leadership roles in Oil and Gas, Mining, and Technology sectors. Specialising in the Industrial Internet of Things (IIoT), business transformation and delivering profitable growth. He is an innovator and charismatic leader with excellent governance and stakeholder management skills. High degree of commercial acumen and board experience in both directorial and reporting roles. His international experience spans Africa, South East Asia, Europe and South America. Conrad has spent his career working with emerging technologies across a range of industries. With a background in consulting and business development, account and project management in aerospace, oil and gas, digital television, the Internet and financial services he has recently moved into entrepreneurial space cofounding his first startup. Picosat Systems is Western Australia’s first small-satellite solutions provider, aiming to reduce the barriers to space flight. By taking advantage of advances in technology and lower rocket launch costs, it has developed its first solution, a low cost pico-satellite platform called OzQube-1. With a mass of up to 1 kilogram each, its satellites enable easier access into space for industry, research and government. Lucie is an experienced HR and communications professional using virtual reality as a training tool to prepare workforces for the jobs of the future. She is a graduate of the Founder Institute and a recognized thought leader in enterprise diversity. BeingVR is one of the world’s first pioneers to explore virtual reality for learning, engagement and behavioural change. Virtual reality is used to solve human resource challenges, and help organisations transform workforces through innovative people-focussed technology. Carly is a chemical engineer with a background working as a quality engineer on Medical Devices. She became interested in organic waste when realising that the volume created by her 7 person household could not be effectively processed in her backyard with the time available to her. She decided to throw her energies into a cause that she was passionate about and founded Kooda with a vision of seeing the diversion of food-wastes from landfill. Kooda aims to develop the technology, processes and jobs needed to efficiently process organic waste in high density urban environments close to the site of generation. Mike spent 15 years as a commercial builder and a further 3 years in project management, quality assurance and business process improvement for Spookfish and InnovAero working on leading edge aerial camera system technology. His degrees in Electrical Engineering and Business Administration, and Chartered Engineer status coupled with Chartered Builder enable him to blend technical and practical capability. Redback Energy is building large scale virtual power plants comprising of millions of nanogrids generating power from solar PV providing households with energy which is both self-sufficient and low carbon.